The Teacher’s Guide to Twitter – a walkthrough of how to use twitter inside and out of the classroom. The Teacher’s Guide to Flipped Classrooms – a curated guide to the ins and outs of the flipped classroom model. as well many, many more (now and to be added in the future). This is a great, quick resource to get the basic concepts of new tools and concepts in your own classroom! 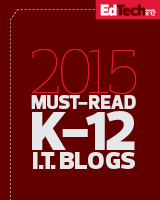 Check out “The Teacher’s Guide to Technology & Learning” at Edudemic! This entry was posted in Education, Educational Resources, Educational Technology, Technology and tagged Copyright, digital literacy, Ed Tech, Education, Educational Technology, how to's, Social Media, Technology on May 14, 2013 by Jennifer Carey.